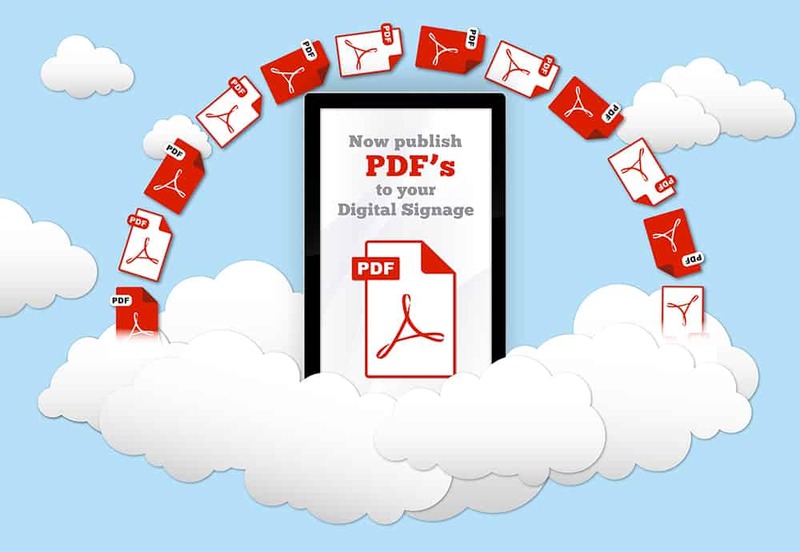 Now you can publish your PDF documents directly to your Android All-in-One Network Screens and Media Players at the push of a button. As our MySignagePortal CMS develops we continue to add more exciting features that make it easy for you, or your customer, to really make the most of their screens. You now have the ability to send PDF files straight to your screen without having to convert them. This new upgrade to the CMS opens up a whole variety of content possibilities. From using your existing PDF documents for internal communication purposes to sending the latest property listings directly to the displays; it couldn’t be easier! 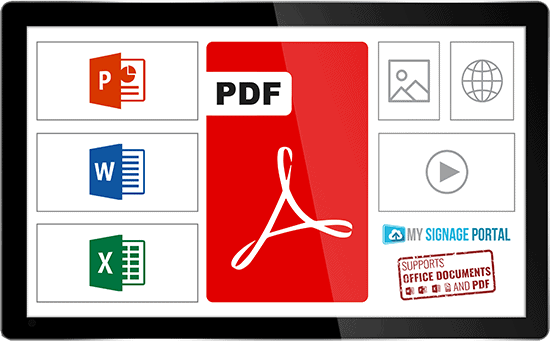 You can now add PDF’s AND Microsoft Office Documents to your templates alongside your images, videos, scrolling text, webpages, RSS feeds and even live TV zones. For more information our All-in-One Network Screens, as well as the latest prices and special offers click “here” or give us a call on 0121 421 4458. How can Digital Signage help my store?